The Utah Jazz capped off their regular season home schedule in style, locking down the Western Conference's fifth seed with a 118-108 victory over the Denver Nuggets in front of a raucous crowd in Salt Lake City Tuesday night. The Jazz (50-31) have won 13 of their past 15 games, and they reached 50 wins for the second time in the past three seasons. 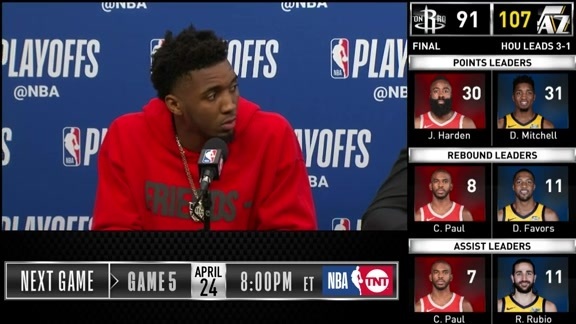 "Tonight was huge," Utah's Donovan Mitchell said. "Everybody stepped up and did their part. We played great defensively. Obviously Denver's a great team, and we're just excited to get this thing started in the playoffs." 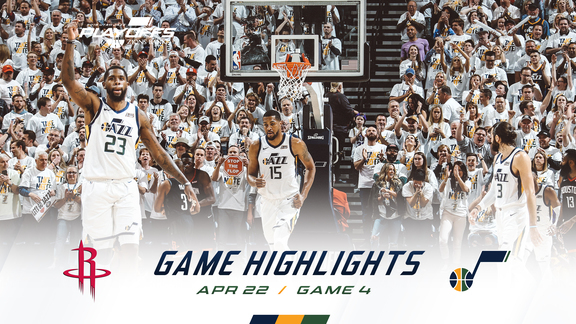 Mitchell led the way with 46 points, while Rudy Gobert (20 points, 10 rebounds, two blocks) and Joe Ingles (10 points, six rebounds, 13 assists) each finished with a double-double. Derrick Favors, who returned to the court after missing the past four games with a back injury, added 16 points and seven rebounds in 22 minutes. "We missed Fav. We missed his unselfishness. He's getting better as a player," Jazz head coach Quin Snyder said. "We're not the same without him, and it's good to have him back." Besides locking down his 66th double-double of the season, Gobert also took Nikola Jokic completely out of the game. Denver's All-Star center finished with only two points (on 1-for-6 shooting), five rebounds and two assists before he fouled out with 8:12 left in the fourth quarter. Malik Beasley came off the bench to lead Denver (53-28) with 25 points, while Jamal Murray and Monte Morris chipped in 22 points each in the loss. Mitchell lit up the night, scoring 17 points in the first quarter and reaching 40 by the end of the third before finishing with 46, which tied his career high. The second-year guard shot 14-for-26 from the field, including 5-for-8 from three, and 13-for-16 from the line, and he added seven rebounds, four assists and two steals—and a net rating of +24—before he checked out with two minutes left in the game. Mitchell has now scored at least 40 points four times in his short career. Utah jumped out to a quick 24-12 lead thanks to Mitchell, who scored 14 of those points—on two 3-pointers and three close-range buckets, plus two free throws. Gobert (four points) and Royce O'Neale (six points) were the only other Jazz players to score during that stretch. Denver fought back to take a two-point lead early in the third quarter, but the Jazz responded and used a 13-3 run to build their lead back up to 10 near the end of the period. Gobert, Mitchell, Ingles and Favors all scored during that stretch. The Nuggets kept hanging around before Utah went on a 24-8 run midway through the fourth quarter to put the game away. 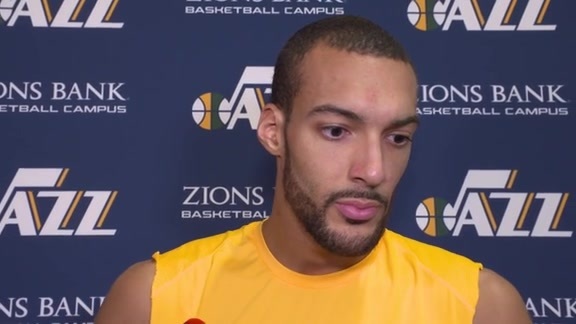 Jae Crowder made a three and Favors put in a dunk, while Gobert and Mitchell made four free throws. 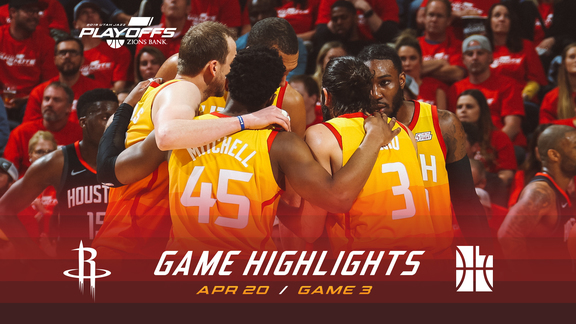 Thabo Sefolosha put in a layup and Gobert made two highlight-reel plays—blowing past Paul Millsap off the dribble for a layup and then throwing down a two-handed dunk on Utah's next possession. After a Denver timeout, Mitchell canned a three and O'Neale slammed home a transition dunk. Gobert put the Jazz up by 18 with another putback slam. Gobert recorded his 19th 20-10 double-double of the season, which is only two shy of the 21 he had during his first five seasons combined. While the Nuggets' bench showed some fight, the starters largely fell on their face. Utah's starting five outscored their Denver counterparts 100-44. Led by Mitchell (13-for-16), the Jazz shot 26-for-34 (76.5 percent) from the free-throw line. Denver shot 14-for-22 (63.6 percent). "Donovan was having a big night scoring, but late in the game he was unselfish. That's not common, when you've got it going like that to call someone else's number and get off the ball." Ingles now has seven games with at least 10 assists this season. ... Ricky Rubio (quad), Kyle Korver (knee), Raul Neto (ankle) and Danté Exum (knee) did not play for the Jazz. ... The Jazz outrebounded the Nuggets 48-31. ... Quin Snyder picked up a technical foul near the end of the third quarter. ... Utah outscored Denver 62-46 in the paint. ... The Jazz won the season series 3-1. ... Utah finished with a home record of 29-12 this season. The Jazz will conclude their regular season schedule with a road game against the LA Clippers Wednesday night. Tipoff is set for 8:30pm MT and the game will be broadcast nationally on ESPN.